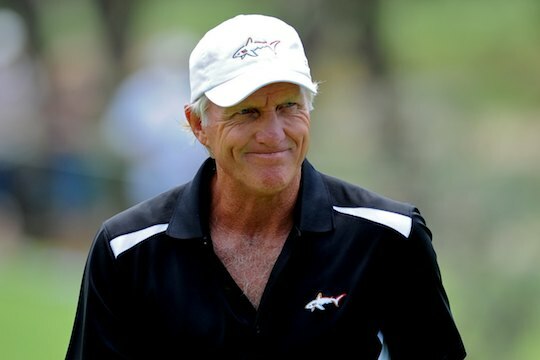 We have to fight fire with fire, if golf is to survive, according to former world number one, Greg Norman. The Great White Shark is one of the most recognizable golf figures on the planet and he suggests more of that [commercialism], much more is needed for golf to lure more young people, women and businessmen into the game. Norman says we really need to look at ways to ‘jazz’ the game up a lot more if it is to continue to be a success on the world stage. And for the game to survive Norman says we need to introduce things like 12-hole courses instead of the traditional 18 holes as people were too time poor to spare five hours or more for a round of golf these days. And while we’re at it, the Shark says we need to drop the dress code, put on some music and social media to make it more attractive to ‘generation next’. “Bring the kids in by letting them put speakers in golf carts, putting headsets on or playing in their board shorts or getting on an electric skateboard or something like that to take their clubs around,” says Norman. Norman went on to explain that progress was a bit like Chinese water torture…drip, drip, drip. “But you only need to do a couple of successful [12-hole courses] and people will sit up and take notice,” he said.